ST. PETERSBURG, Fla. – Jiminy Reno rallied in the final 20 yards to overtake Flamenco Dancer and win the $10,000 Howl-O-Ween Stakes Saturday at Derby Lane. It was the third career stakes title – all this year - for Jiminy Reno of Cal Holland kennel, which won its second Howl-O-Ween in a row. Jiminy Reno broke last from the 2 box, but moved into contention on the first turn and chased pace-setter SE’s Ransom and Flamenco Dancer into the final turn. He made a mid-track move in the stretch and defeated Flamenco Dancer by three-quarters of a length. Jiminy Reno clocked the 550-yard course in 30.80 seconds. He paid $3.80 as the wagering favorite. Owned by siblings Kathleen Hastings of Abilene, Kan., and James Morgan of Colorado Springs, Colo., Jiminy Reno scored his 46th career victory from 85 starts. The $4,500 paycheck increased his lifetime earnings to more than $58,000. The 29-month-old son of Alivefortomorrow and Oceania increased his meet-leading win total to 19, six in front of his nearest competitors. Jiminy Reno is going for his second consecutive top-dog title. His other stakes crowns this year were the $50,000 Husker Magic Fall Sprint on Sept. 29 and the $20,000 Remembrance on May 28. For Flamenco Dancer, the second-place showing equaled her best stakes finale finish from nine lifetime stakes starts. She also was the runner-up in the $20,000 Gold Trophy Juvenile in 2017. Flamenco Dancer was the only returning finalist from last year’s Howl-O-Ween, finishing third to RT’s Bo Jangles. B Norman Noel (Lester Raines kennel) was third followed by SE’s Ransom (Everett Racing), Dancin Doocy (Nova), Kentucky Boy (Cal Holland), Hi Noon Pursuit (Nova) and WW Dewan Casey (Patriot). 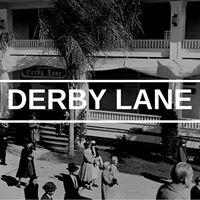 Derby Lane’s next stakes race is the $10,000 Thanksgiving Stake, Nov. 21-24.